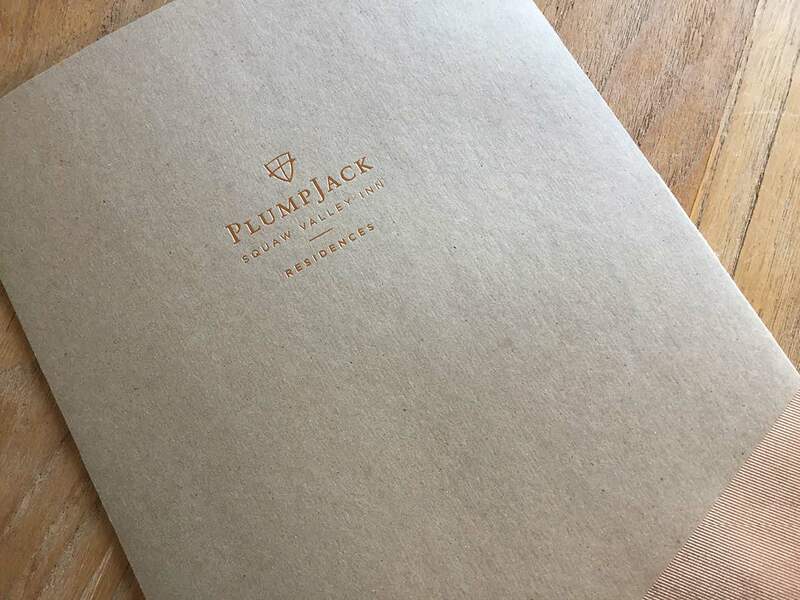 It’s exciting when a strong brand like PlumpJack contacts us. 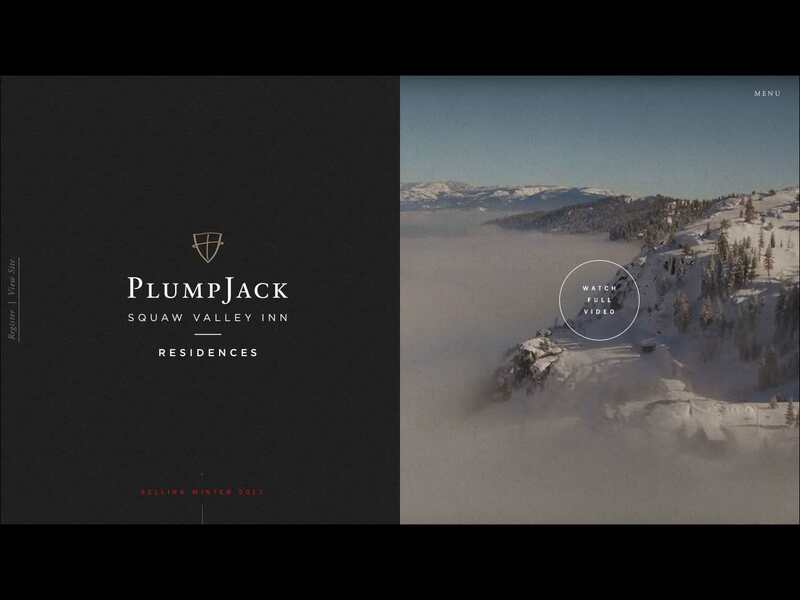 Known for their high-end wines, restaurants and luxury resorts, PlumpJack has partnered with Meriwether Companies to redevelop Lake Tahoe’s iconic PlumpJack Squaw Valley Inn. Fortunately for those who can’t bear to leave the mountain, the project includes luxury slope-side residences and a new restaurant. It’s all smack dab in the middle of Olympic Village, at the base of the dramatic 1,200 foot Tram Face. 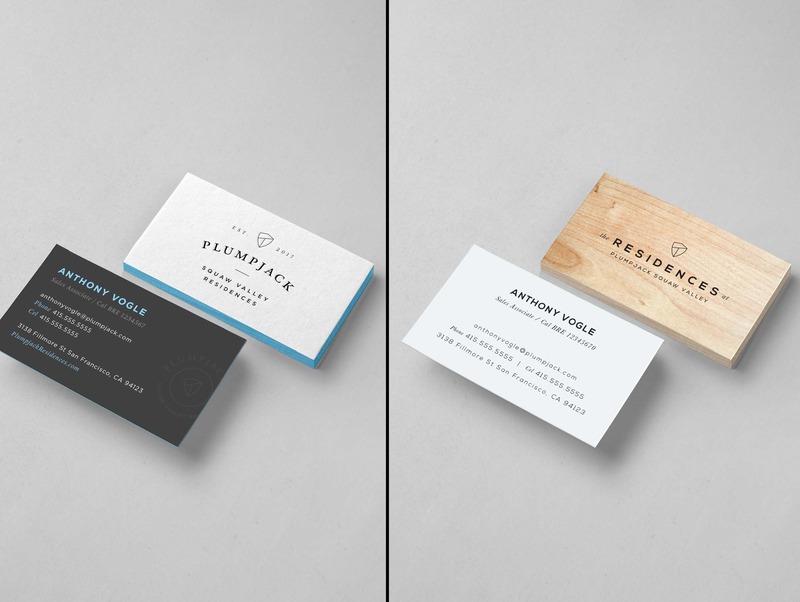 PlumpJack approached HDSF to handle the project branding. Work on a renowned project with a dream team at Squaw Valley? No problem. 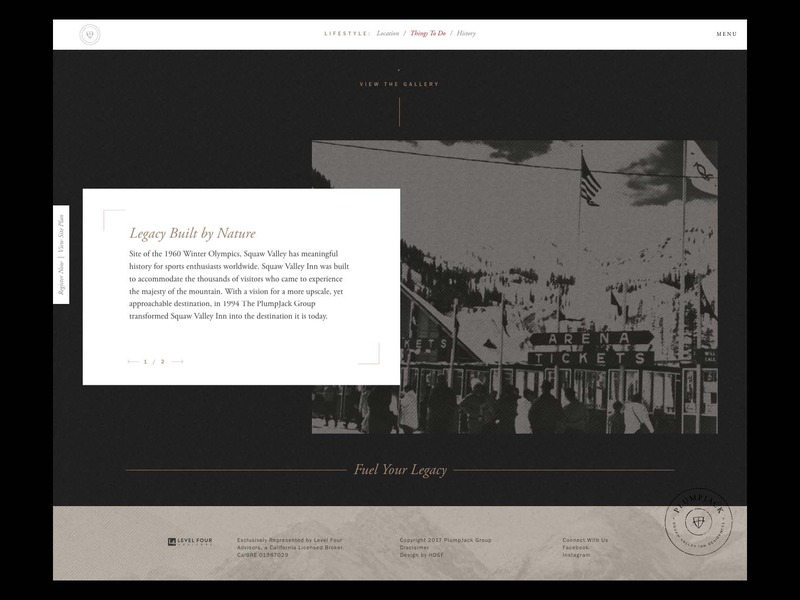 We worked closely with Hilary Newsom, sister of Gavin Newsom, whose family history at Squaw goes back generations. Our secondary client was a resort guru and an expert skier. 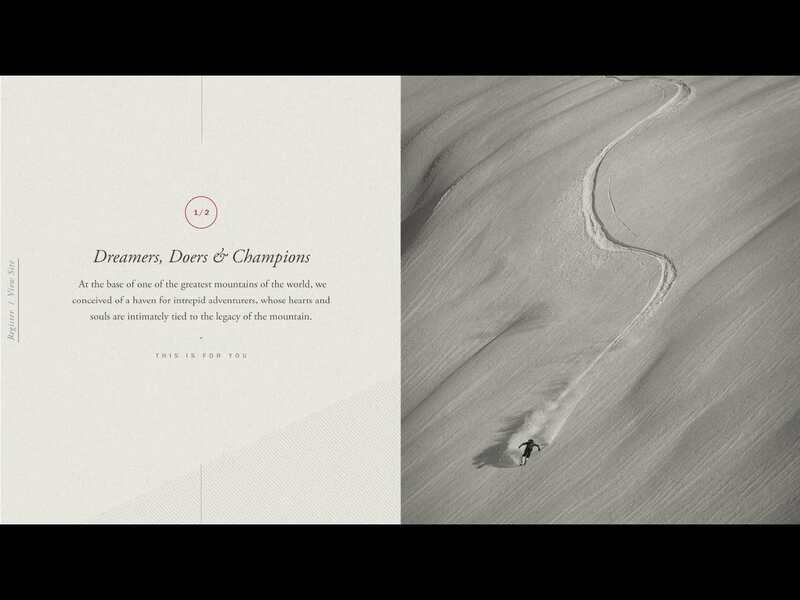 The project Sales Director was a former member of the US and World Championship Ski Team. Suffice it to say, we had true Squaw enthusiasts and it was imperative that we get it right. 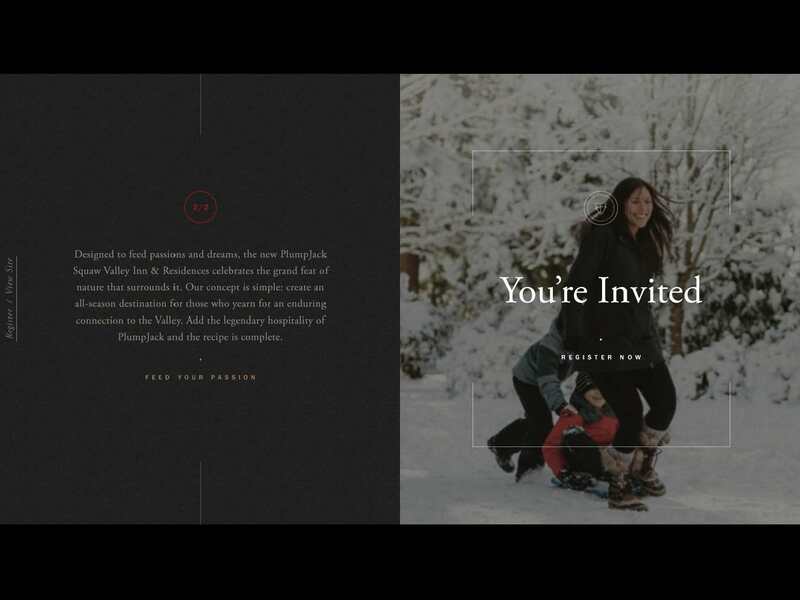 The scope included Brand Strategy, Identity, Website, Video, Advertising, and Signage. 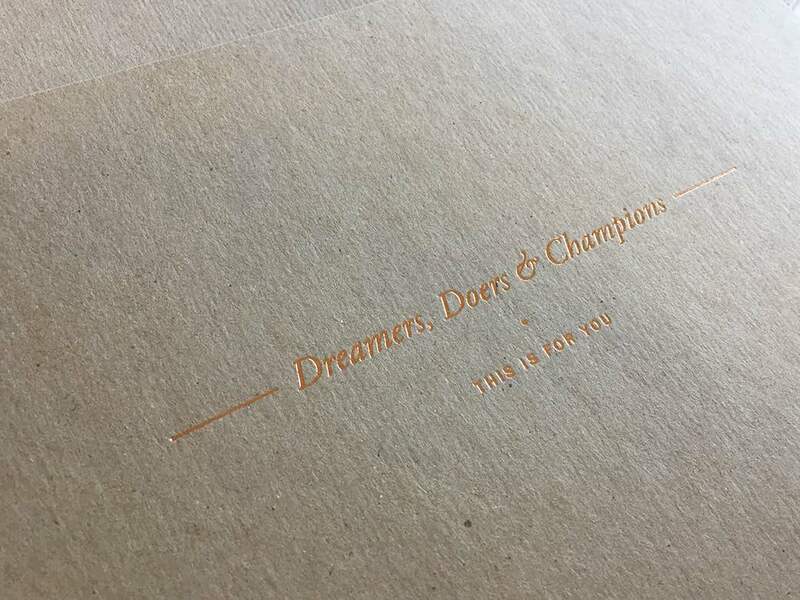 Our Brand Story focused on three key themes: Passion, History and Legacy. The design fused a casual alpine feel, with a sophisticated luxury product. We call it “Alpine-Lux.” Visit the website: Live PlumpJack Squaw.